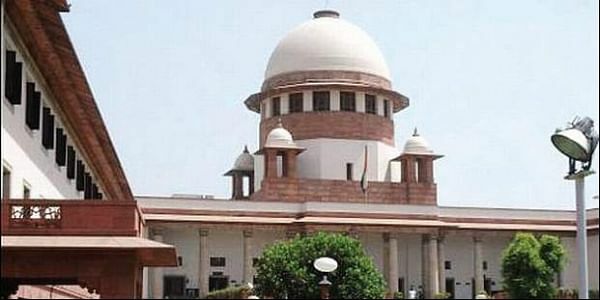 NEW DELHI: The Supreme Court on Wednesd­ay asked the Centre to set up spe­cial courts to exclusively try cases pending against MPs and MLAs till 2014, in a possible bid to stop politicians facing crimin­a­l charges from contesting ele­c­tions. A bench of Justices Ranjan Gogoi and Navin Sinha issued the direction after the Centre, represented by Additional Solici­t­or-General A Nadkarni, infor­m­e­d the court that at the time of filing nominations in 2014, as ma­ny as 1581 lawmakers faced cr­iminal cases. There were about 9,000 cognizable cases and 4,000 non-cognizable cases against politicians in 2014. The bench asked the Centre to apprise it about the status of the cases. It also sought to know how much money the Centre was willing to put on the table to set up the fast-track courts so they could start at the earliest. “There are now 17,000 courts. Addition of 1,000 special courts for politicians would be welco­m­e, which would be in the interest of the nation,” Justice Gogoi told the Centre. The point of creating these special courts is to ensure that politicians with criminal backgrounds are not able to delay trial and that those facing false cases get justice. The court sought to know by December 13, the next date of he­a­ring, how many of these cases had been disposed of and what th­eir outcomes were — whether th­ere were any convictions or acqu­ittals. It also asked the Centre about fresh cases filed betw­e­en 2014 and 2017 against MPs/MLAs. The ASG informed the court that the government was yet to finalise its stand on a proposed lifetime ban on convicted politicians as it had several implications. But he made it clear that the Centre supported decriminalisation of politics. The recommendations of the EC and the Law Commission favouring lifetime disqualification of politicians convicted in criminal cases were under its active consideration, the Centre said. If the court accepts the EC’s recommendation, the chances of several politicians contesting elections could be sealed. Some of those likely to be affected include Lalu Yadav, VK Sasikala, Rasheed Masood.